[Daily Mail] British Airways passengers were left stuck without their luggage after a pipe burst in Heathrow Terminal 5 – drenching their bags in sewage. British Airways passengers were left stuck without their luggage after a pipe burst in Heathrow Terminal 5 – drenching their bags in sewage. About 100 suitcases were covered in the raw filth when a pipe in the sewage system burst in Terminal 5’s baggage hold on Monday. A spokesman for the airport operator, BAA Heathrow, said: ‘There was a leak from the sewage system in the baggage area of Terminal 5 on Monday which affected around a hundred bags. Read the full story at the Dail Mail…..
[Business Traveller] Heathrow has opened its temporary terminal which has been built to cope with the surge in passengers after the Olympics later this summer. The structure has been constructed in a staff car park and will cater for Olympic participants and officials for the three days after the games end on August 12.The airport has estimated that the terminal will process more than 10,000 competitors and 37,000 bags over the three days. Transport minister Theresa Villiers, who attended the opening of the terminal today, said: “August 13 is expected to be the busiest day in the whole history of the airport. 10,000 athletes, coaches and support staff are going to be coming through this temporary terminal. Heathrow’s head of Olympic operations Nick Cole said that the reason for the temporary terminal was “to ensure that passengers using terminals One, Three, Four and Five get their normal high levels of service”. 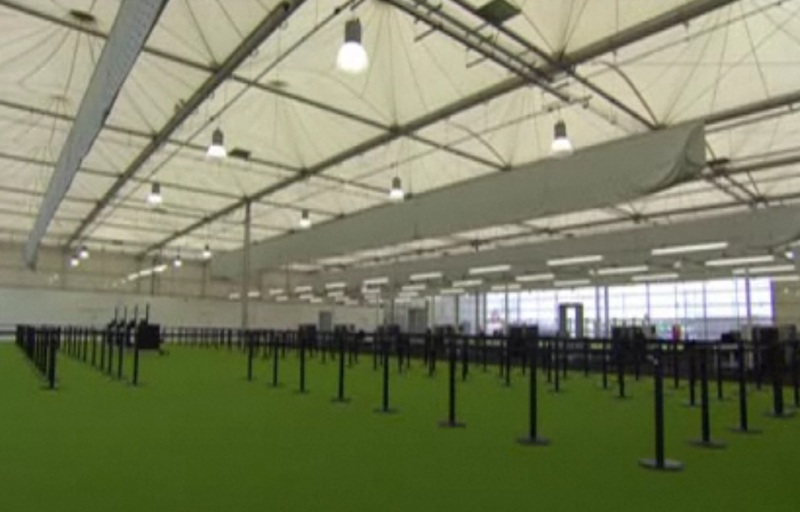 “If we do this and we get 10,000 athletes through this facility, it means that everybody else in the other terminals will feel just like it’s a busy summer day here at Heathrow,” added Cole. Read the original story at Business Traveller…. [Herald Sun] A fully loaded Air Mauritius aircraft was forced to make an emergency return to Melbourne Airport this afternoon after a passenger is believed to have made a bomb threat to the crew. 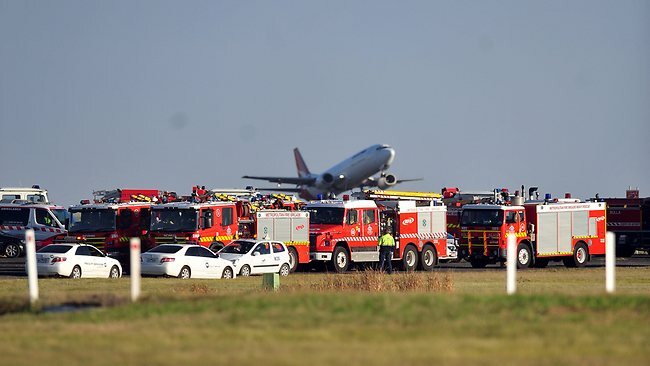 The Airbus A340 had take off from the airport just after 2.30pm when the crew advised the control tower of the need to return, with Federal Police boarding the aircraft after it touched down and stopped at the end of the runway. The aircraft involved was Air Mauritius flight MK943 bound for Perth. It is believed a man was detained on board, but other passengers were safely escorted from the plane, which was undamaged. Sources said there had been a bomb threat, but this was not confirmed by an aiport spokesman. A Federal Police spokeswoman said the incident was ongoing but there was no danger to the travelling public. She said passengers had been…. Read the full story at The Herald Sun…. [Original Sources: Crawley Observer / BBC News] Gatwick’s only runway had to close yet again this morning following another emergency situation. This incident again highlights how Gatwick Airport operations can possibly be severely affected by airstrip based emergencies, due to only having one runway available. A tyre burst on a landing Boeing 737-300 this morning just before 11:30. The Ukraine International Airlines flight PS501 landed on schedule from Kiev Boryspil International Airport. Gatwick Airport operational staff had to close the runway so that passengers could be safely taken to the airport’s South Terminal by coach. One passenger told the BBC that after making a “nice smooth landing… there was an almighty bang and the plane suddenly lurched to the right”. The pilot managed to keep control of the aircraft, there were no injuries. A spokeswoman for Gatwick Airport said to the Crawley Observer: “A Ukrainian aircraft landed earlier on today, as it did so a tyre burst. “The passengers were safe, the plane was safe and there were no injuries on board. 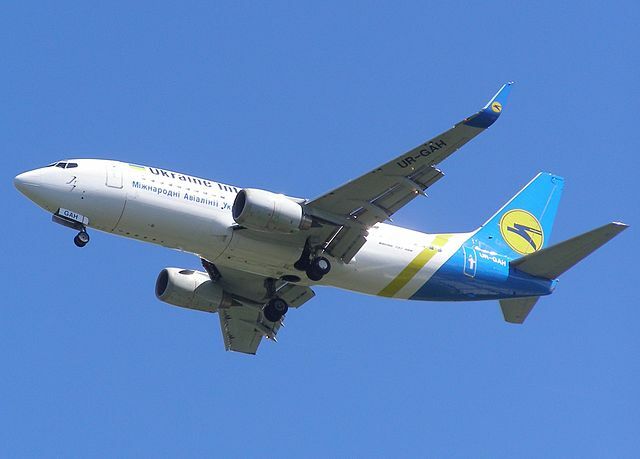 Ukraine International Airlines runs a daily return service into Gatwick from Kiev’s Boryspil International Airport. [Channel 4 News] Following the row over lengthy immigration queues, terminals at Heathrow and Gatwick come under fire for their use of searches at borders, with practices at one branded “discriminatory”. Gatwick Airport North Terminal has been criticised for how it carries out passenger searches and uses arrest powers in a report published following a routine inspection last year. 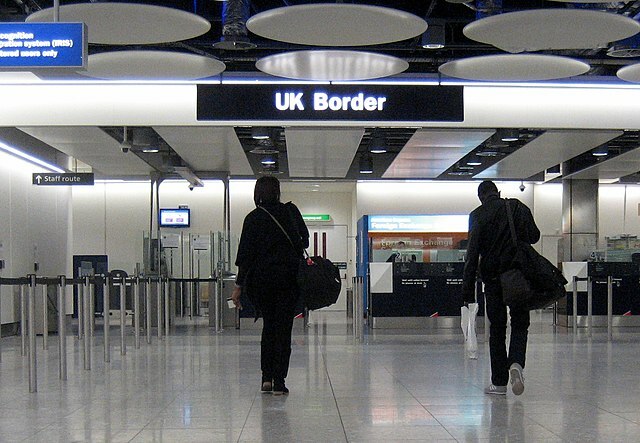 The airport, which handles more than 30 million passenger journeys per year, was criticised in a report by the independent chief inspector of borders for “discriminatory practice in the conduct of detection activity”. An examination of search records showed that in 71 per cent of cases, the search was neither justified nor proportionate. Some passengers were arrested even though searches had not revealed any illicit goods. The inspection also revealed that an analysis of searches conducted over the last two years had revealed persistent differences in the ethnicities of passengers subject to searches, with some officers using negative stereotypes to determine which passengers to stop when detecting illicit goods. “The UKBA has enough on its plate with the Olympics looming without wasting time and money on checks which are as unnecessary as they are discriminatory. Border officials have a difficult and demanding job but the Inspector’s finding that 71 per cent of searches were unjustified is…..
Read the full story at Channel 4 News…. [ABC News] Reports of a passenger’s unusual skin rash on a Delta flight led health officials temporarily to prevent passengers from leaving the plane after it landed until they confirmed it was not an infectious disease. The news of a quarantine of flight 3163 from Detroit followed reports of an ill passenger, according to ABC News station WLS in Chicago. 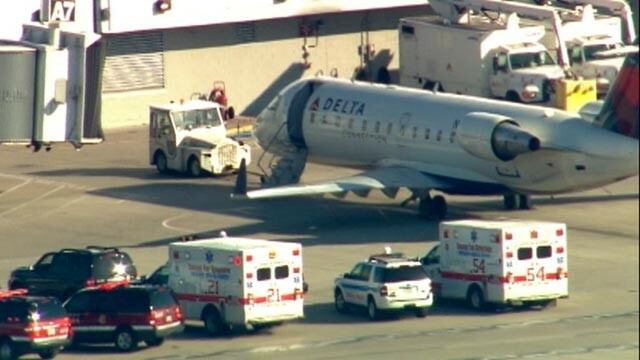 The Centers for Disease Control and Prevention had initially contacted Delta and asked it to hold the plane, according to a statement from the airline. The CDC issued a statement to ABC News Thursday evening in which it said it took action based on concerns that the rash indicated something worse. According to the CDC, monkeypox is a rare viral disease that occurs mostly in central and western Africa. The signs and symptoms of monkeypox are like those of smallpox, but usually…..
Reaad the full ABC News story here…. UK’s busiest airport sees 70 million passengers pass through its terminals in a 12-month period for the first time. 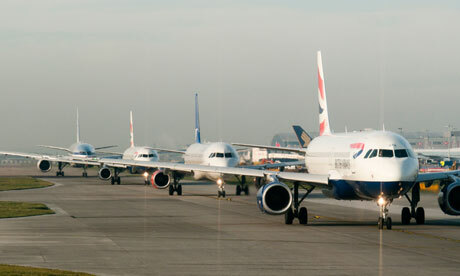 Heathrow airport saw 70 million passengers pass through its terminals in a 12-month period for the first time in March. 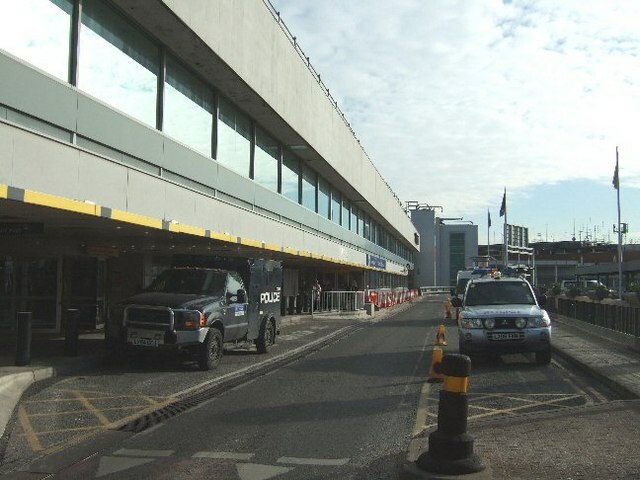 BAA – which also owns Stansted, Edinburgh, Glasgow, Aberdeen and Southampton airports – said the figures showed the airport’s “resilience” amid challenging economic conditions. Heathrow’s five terminals dealt with 5.7 million passengers in March, a 6.9% rise on the previous year as pre-Easter traffic occurred in March, rather than April. BAA airports saw a 4% rise in passengers in the month to 8.6 million as growth at Glasgow and Aberdeen was offset by declines at Stansted, Edinburgh and Southampton. 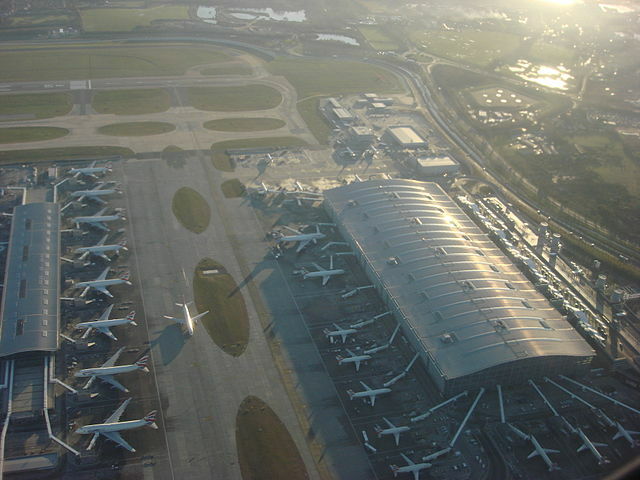 The airline operator, part-owned by Spain’s Ferrovial, is working on another legal challenge against a requirement to sell Stansted, after it lost an appeal against the decision earlier this year…. Read the full Press Association story at The Guardian here…. Airline performance improved last year as judged by four measures — passengers who endured lost bags, delayed flights, lousy service or bumpings from full flights, according to an annual report to be released Monday. The report was compiled by Wichita State University business professor Dean Headley in Kansas and Perdue University aviation technology professor Brent Bowen in Indiana. It is based on 2011 data submitted to the Department of Transportation by the nation’s 15 largest airlines. For the full results go to ABC News / AP here…..